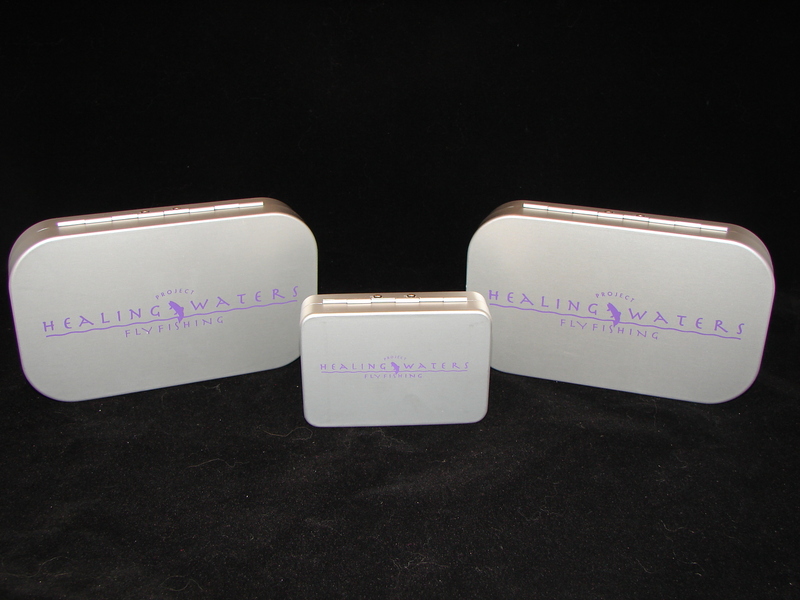 The fourth generation 2012 PHW aluminum fly boxes come in three variations, this is the mini foam/foam unit which is limited to a 200-unit production run. Only 200 of these boxes will be made. The dimensions on this aluminum fly box are 3.5 inches in length, 2.5 inches in width, and 1 inch in height. The mini foam/foam weighs less than an ounce. The mini foam/foam model sports a double ripple foam pattern in each lid. This box is made of high quality aluminum and rivals the quality and performance of other great aluminum box manufacturers but at a fraction of the cost. The 2012 models will have Purple print and logo to differentiate from the 2010 (red), 2009 (blue) and 2008 (black) models. The fit and finish of these boxes are something to brag about! The price is something to smile about! 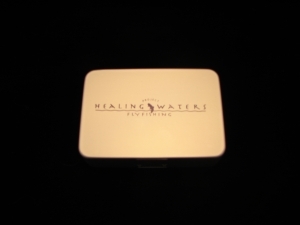 Also, feel confident in knowing that by purchasing this box, FFB will donate $4.00 to Project Healing Waters. These boxes will have a limited production build of 200 units and will be available by late August 2012! You can still buy that aluminum box you have been waiting for and feel confident in the quality of the product you will receive and the support you will give PHW at the same time! Get one now! Support our troops!